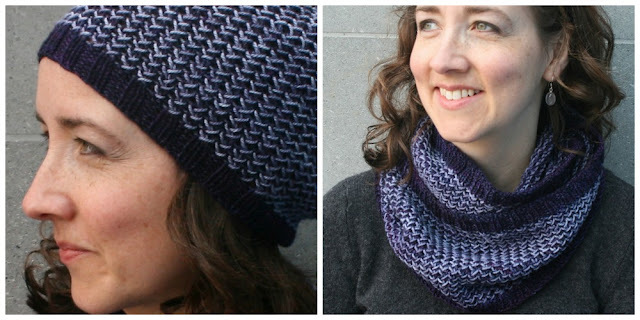 You've probably seen Louise Zass-Bangham's patterns on Ravelry - Knit Night and Song of the Sea (and Winter Shadow Wrap!) have certainly been on my favourites for ages. Published under Inspiration Knits, she has a great selection of patterns for accessories. 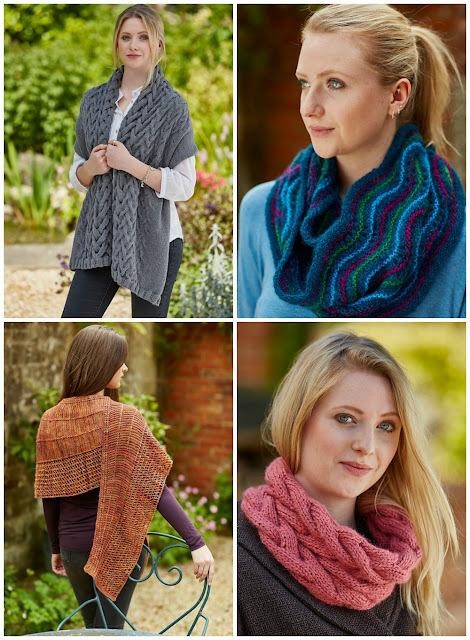 And of course we have a small selection of her patterns in the shop promoting Fyberspates Vivacious 4ply! 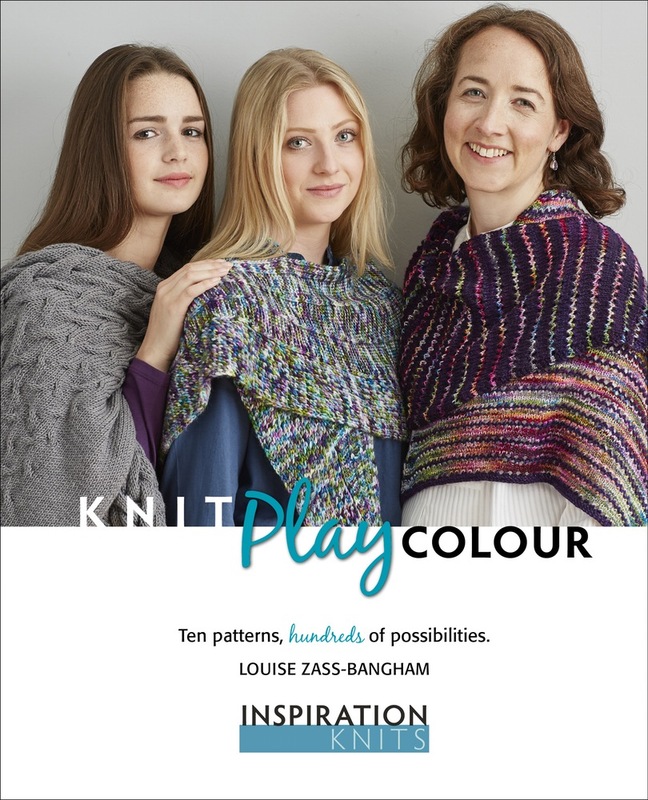 We now have copies of her new book in the shop Knit Play Colour. 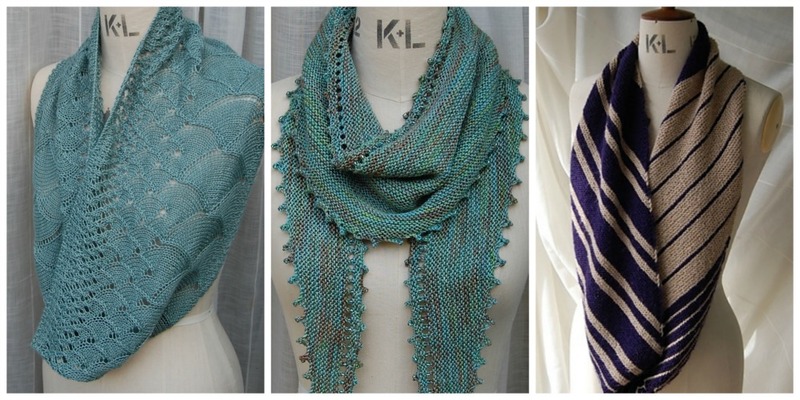 An exciting collection of 10 patterns that explore colour and texture. Included with every pattern are ideas and tips on how to play with colour, yarn choices, gauge and finished size. Lots of clear photos show you examples of the different directions you can take. 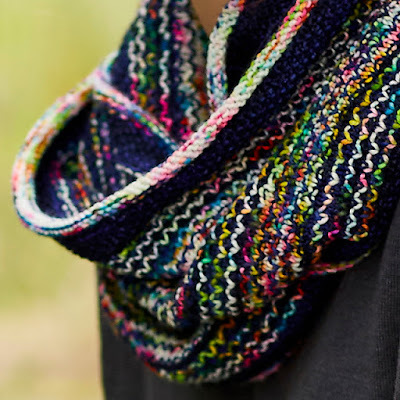 A great go to book for impulse buys and for stash busting!